A few weeks ago I posted about the largest work of art in the world – a project in the Nevada desert by Jim Denevan. I just came across Denevan’s own website, which has a beautiful set of photos of some of his finest sand art – caught on camera before the sea washed them away. I love this most primitive form of graffiti on such a huge scale – carving into sand, earth, ice or rock. One of the best scenes in Ridley Scott’s disappointing film Robin Hood was an aerial shot of the English forces coming together at one of the white horses carved into a southern hillside. For a moment the mythology of Robin Hood became part of something deeper and more mysterious – the urge to create, the desire to leave our mark. Les goûters philos — philosophical teas — have become a craze among families who are convinced that children as young as 6 should start grappling with issues that taxed the likes of Socrates and Thomas Aquinas. Although some may dismiss it as further proof of their pretentiousness, the French see it as an attempt to give children a handle on an increasingly complex world. Proponents of les goûters philos argue that the subject needs to be broached at an early age when children start asking existential questions. The parties are held in cafés, public libraries and at home and involve food, drink … and debate. This fits with my experience of working with families and in schools and parishes over the years. I’ve always found that the best ages for deep reflection are about 3 and 10. At 3, the most basic questions about reality, life and death come up. Then you attempt an answer, and the question comes back at you in a different form. It’s the ‘But why…?’ stage of life. After Van Morrison's "The Philosopher's Stone"
At 10, the same questions come up, but in a more considered way. There is a new intelligence and maturity, a new curiosity, still with a certain innocence, but without the hormones and herd mentality that seem to close down the possibility of thought during much of adolescence. Everyone thinks they are too busy. Most people admit that communications technologies and the internet have increased the pressures on them to perform and respond and race ahead. Not many people have any suggestions about how to find spiritual peace or mindfulness in this wired world. This was the first Wisdom 2.0 summit, which convened a few hundred spiritually minded technologists – everyone from Buddhist nuns to yogic computer scientists – for two days of panels and presentations on consciousness and computers. The goal: to share tips on how to stay sane amid the tweets, blips, drops and pings of modern life. The temple: the Computer History Museum in Mountain View, California, a stone’s throw from the Googleplex. Attendees took in panels on “Living Consciously and Effectively in a Connected World” and “Awareness and Wisdom in the Age of Technology”. Mr Kallayil and others discussed how to squeeze a bit of quietude into the day. Suggestions included meditating before meetings. Ms Pearlman was an example of someone who has successfully integrated a bit of wisdom into work. But a more fundamental question lingered: if spiritual success is more important than worldly gains, why toil away in offices at all? “When the time comes and we’re on our deathbed and we’re saying goodbye to our body and bank account and Facebook account and Twitter account, what’s really going to matter?” asked Mr Gordhamer. If there is an answer, it probably will not be found through a Google search. Our answer here in the seminary is to have 45 minutes in the chapel each morning – of silence, personal meditation, and communal prayer. It doesn’t necessarily mean that we are all able to maintain our inner peace throughout the next sixteen hours, but it certainly helps. Tesco Mobile carried out a survey of 4,000 consumers recently to find out what people think are the greatest inventions of all time. 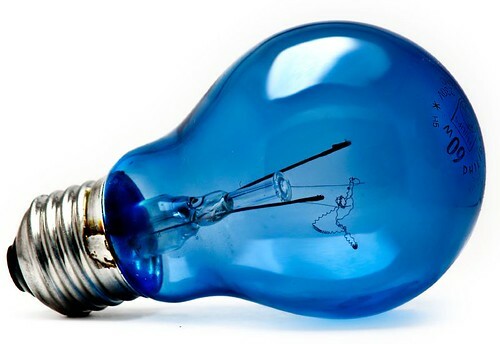 No, the lightbulb didn’t come top – but I loved this image. The wheel was voted as the most important invention in history, with the aeroplane in second place, the lightbulb third, the worldwide web fourth and computers fifth. Other inventions to make the top ten included Graham Bell’s telephone in sixth place, followed by Sir Alexander Flemming’s discovery of Penicillin. The iPhone came eighth, while Thomas Crapper’s flushing toilet was ninth. The internal combustion engine came tenth. Central heating (13th), painkillers (15th) and the steam engine (16th) also made the grade, while spectacles finished off the top 20. I’ve pasted the complete results below. What would you put at number 1? What would you add to the list of one hundred? The seminary community went on a visit recently to the Carmelite sisters in Ware. We had some extra time this year and used it to drive up the A10 to St Edmund’s College. This was the site of the seminary before we moved to central London in 1975. Learning about the history of the college reminded me that some of the most significant projects of renewal within the Church have taken place in times of difficulty, and that they have sprung up precisely in response to these difficulties. 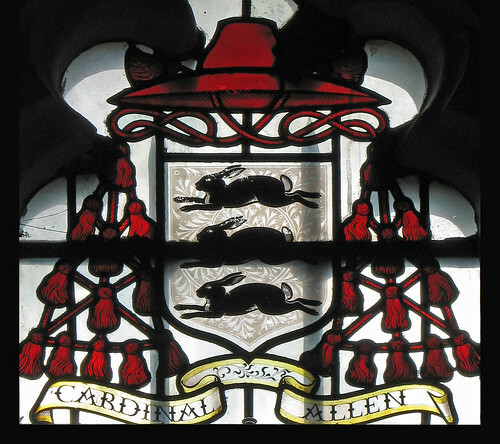 The arms of Cardinal William Allen (1532-94), who was an alumnus of Oriel College Oxford, in the Hall of that college, and drawn by Sir Ninian Comper. His arms feature three rabbits or conies. When Catholics were being persecuted in the 1560s in England, William Allen decided that rather than putting his head in the sand and just hoping that things would improve, it was time to do something creative to preserve and build up the life of the Church. His dream was to have a centre of learning that would nourish the religious and intellectual life of Catholic laity and future priests. Instead of complaining that this wouldn’t be possible on English soil, he used some lateral thinking and founded a college in a place where it would be possible: Douai, in northern France. It’s remarkable to see the Douai Diaries on display in the museum at St Edmund’s. You can read Allen’s own handwritten accounts of those first years at the College. Volume One was open at the first page, with the year 1568 inscribed in the margin. Who could have known, at that early stage, that it would prove to be such a source of renewal for the Church – the education of the laity, and the building up of the priesthood for mission at home. And that five hundred years later two seminaries (Ushaw outside Durham, and Allen Hall in London) would still be continuing the tradition it started. All of this because the Church refused to be disheartened by the difficulties it faced, and decided to do something bold and creative. What kind of boldness and creativity do we need today? Jemima Kiss writes about how quickly and willingly we surrender our digital privacy. I’m not a campaigner for privacy issues. What interests me most is how our understanding of ‘the self’ is subtly transformed whenever some aspect of our personal identity becomes public property. If everyone knows (and in some sense ‘possesses’) everything about me that I myself know, does that make me less free? Or does it just limit the scope of my freedom to the interior space that I manage to keep private? Or is it an invitation to identify even more fully with the public self that is available to others, and to recreate that self with abandon? It’s helpful to remember that the word ‘personality’ comes from the Latin persona, which has the literal meaning of ‘mask’. I take from this the conclusion that it is not so easy or desirable to completely separate the inner self from the outer face that we present to the world. 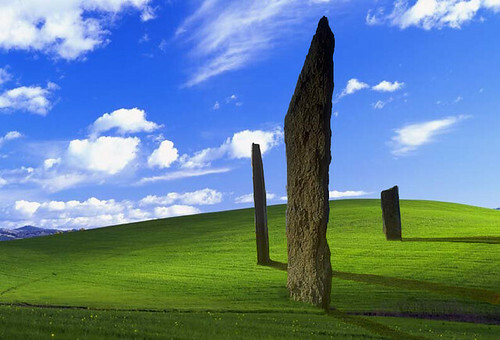 The one that is now pasted over the whole digital world. Five years ago a pseudonym was de rigueur, yet now we share the minutiae of what we’re reading and thinking, and who we’re seeing. We are all sliding up the adoption curve to a future where this behaviour will only become even more extensive, more normal. How did our perception of what is an appropriate public identity shift so far, so quickly? Assuming none of us this side of the digital divide are willing to disenfranchise ourselves socially and professionally by giving up the internet altogether, we have to be prepared to give up something. The free lunch is over; we pay with money, time or behavioural data. There is a benefit, too, because sharing information about ourselves opens the door to the semantic web; the powerful, personalised internet of the future. Already, from your internet connection to the sites you use, everything you share, search, comment, email, read and watch – every social signal you make – is recorded. The only rule you need to protect yourself online is to commit something to the web only if you would be happy for anyone to read it. Apologies for this second London-centric piece of trivia, but the city is abuzz with the news that Boris’s new Routemaster will be hitting the streets soon. Well, five prototypes will be designed and built for £7.8m. 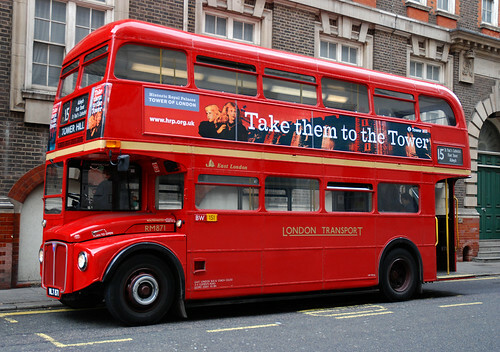 The original Routemaster was withdrawn from regular service in December 2005 by Ken Livingstone, while he was London’s mayor, though some still run on a limited basis on two “heritage routes”. The new buses, which were a key part of Johnson’s 2008 election manifesto, will have two doors as well as a shuttered platform, which will allow passengers to hop on and off. A spokesman for the mayor said the initial cost of the buses included design and development, research, prototypes and testing. He added that the cost was expected to drop to about £300,000 per bus as “hundreds” came into use in the coming years. 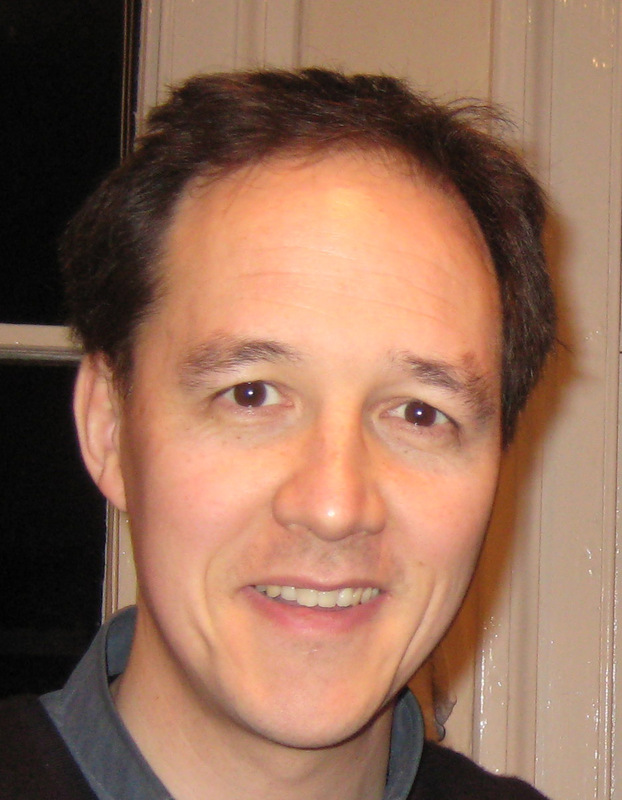 However, Darren Johnson, a Green party member on the London assembly, claimed the mayor had underestimated the cost of the new buses at every stage. “Development costs have more than doubled since Boris said the budget was only £3m, and that the rest would be borne by the industry. In September he was saying each bus would cost less than £250,000, now it is £300,000. We still haven’t got clear answers from him about the extra costs of running these buses with the conductor and the ‘hop on, fall off’ insurance premium. The new buses will have two staircases and be made of lightweight materials. The mayor’s office said this meant they would be 15% more fuel-efficient than existing hybrid buses and 40% more efficient than conventional diesel double-deckers. For me, the rear platform of the Routemaster is another magical example of liminality, like bridges and tangents and waiting rooms and wardrobes. You are on but not on. You can go or stay. You are inside and outside at the same time. You can jump.